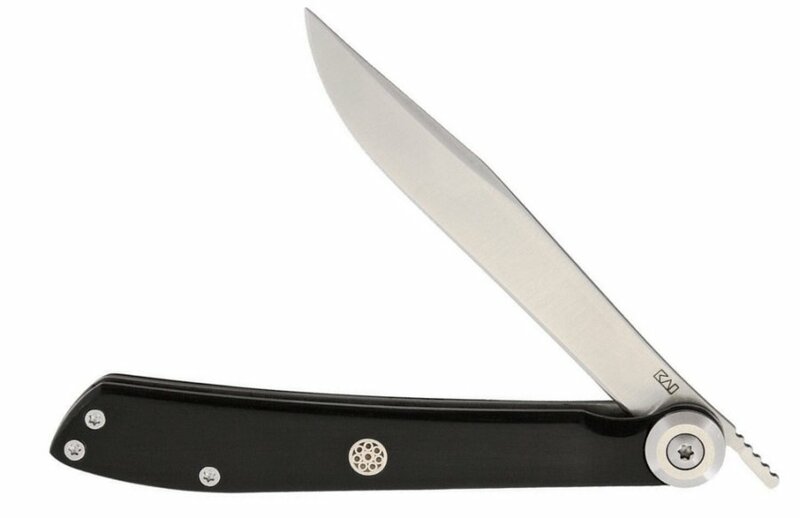 Type: Linerlock; Closed: 4.125"; Blade: 3.25" | 420J2 Stainless | Standard Edge | Satin Finish; Handle: Black | POM-Griffe; Other Info: Inlay Shield | Extended Tang. Black leather sheath. Boxed.